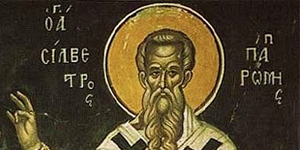 Sylvester was chosen pope in succession to Pope Miltiades (311-314). His pontificate coincided with the reign of the first Christian emperor, Constantine. There are similarities between St John-Francis Regis SJ and the Curé of Ars, St John Vianney - holiness, devotion to prayer and pastoral care for souls. 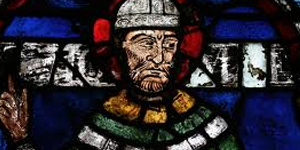 Thomas Becket, archbishop of Canterbury, was assassinated by four barons of King Henry II in the cathedral there on 29th December 1170. Stephen is the first Christian martyr after Jesus himself. His story is told in the Acts of the Apostles chapters 6 and 7. Patrick Duffy looks at when and why a feast celebrating Jesus's birth began to be celebrated on 25th December and what different scholars have to say about that. There are reputedly fifty-eight Mochuas among the saints of Ireland, but the one celebrated today is associated with Timahoe in Co Laois. Apart from a short time as a parish vicar, St John of Kanti spent most of his life as a lecturer in philosophy and theology in the University of Krakow. Frances Xavier Cabrini was the first United States citizen to be canonised. Born in Northern Italy, she wanted to be a missionary in China, but Bishop Scalabrini and Pope Peo XIII directed her towards Italian workers in the United States. 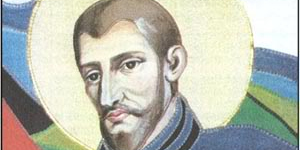 The Jesuit Saint Peter Canisius, born in Nijmegen, Holland, is probably best known for his Catechism written in 1555. St Fachanan is venerated as the patron saint of Kilfenora diocese. The image shows a mitred bishop in the ruins of its cathedral in the village of Kilfenora. St Winnibald was the nephew of St Boniface. Together they spread the Gospel in Germany in the 8th century. St Flannan is the patron saint of the diocese of Killaloe. He is said to have been the son of Turlough, King of Thomond. St Melania the younger was the daughter of Publicola, only son of St Melania the Elder. She was amarried woman and foundress of communities of hermits. Maybe the most prominent European woman of the tenth century she became the foundress of many monasteries . John, small in stature, showed an intense poetic sensitivity and an ascetical strength that enabled him to become a great mystic. "Our modern age may look at the short life of Lucy and the path she chose as somewhat bizarre...her sacrifice of chastity - alien." Damasus was a strong proponent of the papal primacy of Rome, introducing Latin to liturgy Rome, and his care of the catacombs. In 1531, Juan Diego had a vision of Our Lady which encouraged the conversion of indigenous Mexicans to Christianity. The Immaculate Conception means is that God filled Mary with grace, and preserved her free from all stain of original sin. Dec 6 – St Nicholas – Santa Claus! There are many stories about St Nicholas: especially about how he became the original Father Christmas. St Sabas decided to become a monk, and when he was eighteen, went to Jerusalem to see the holy places and visit the hermits who lived there.